Origin of name  Named by Joseph Wilds Wallace, Jr. after the horse Andrew Hunter stole from British Loyalist Col. David Fanning during his famous American Revolution escape (4). Current status  The house is owned by the non-profit organization Red Doe Plantation, Inc.
Circa 1836  John Gregg acquired the property (3). 1836  John Gregg gave the 1,005-acre plantation to his son Evander A. Gregg. Evander was 18 (1, p. 3) (3). Evander's brother, J. Eli Gregg, owned neighboring Gregg Plantation. Circa 1836-1846  House built by Evander A. Gregg (1, p. 3) (2). 1865  Gregg sold the plantation to Simon Lucas on November 1 (2). 1867  Simon Lucas was unable to make the payments and signed the property back over to Evander Gregg in January (2). 1867  Evander Gregg then sold the plantation to his brother Ephraim Gregg (2). 1867  Ephraim didn't keep the property long and sold it to Robert Legare Singletary in December (2). 1912  Singletary's widow, Sarah Jane Evans Singletary, sold it to Joseph Wilds Wallace in December (2). 1920  In January, Wallace sold the plantation to his brother-in-law, Rev. Thomas Hartwell Edwards (2). 1928  Rev. Edwards deeded the plantation to Joseph Wilds Wallace's three sons, W.G. Wallace, Joseph Wilds Wallace Jr., and Marion Chisholm Wallace (2). About 1934, Joseph Wilds Wallace, Jr., began calling the plantation Red Doe. Red Doe was the name of the horse Andrew Hunter rode during his famous American Revolution escape (2). Circa 1940  Marion Chisholm Wallace and his wife Anne Pearce Wallace acquired Gregg Plantation (2). 1940-1941  The Wallaces restored the house (2) (4). 1982  Marion Chisholm Wallace, great-grandnephew of Evander Gregg, was still owner (1, p. 3).
?  The Robert Pearce Wilkins family acquired the plantation (2). 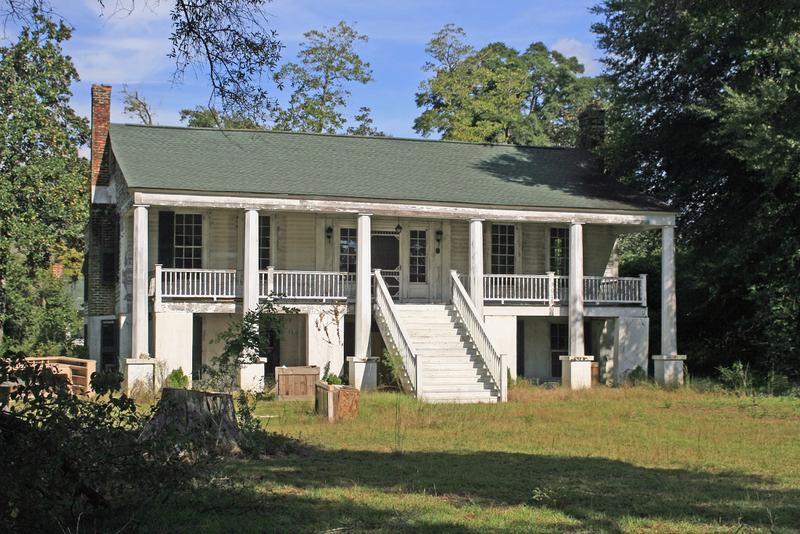 2006  After passing through generations of Gregg descendants, Robert Pearce Wilkins and family donated the house to the Pee Dee Rifles organization which created the Red Doe Plantation, Inc., a nonprofit corporation (2) (4). 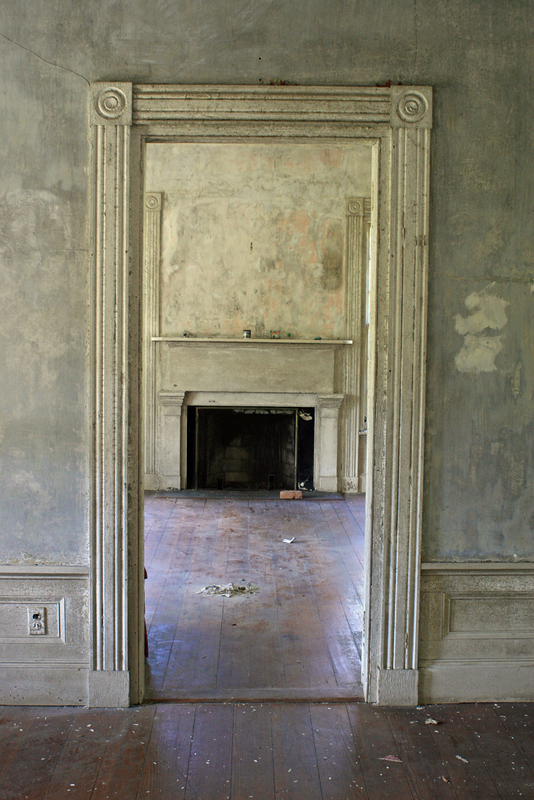 2014  Restoration work was to begin on the house to stabilize it with $105,000 in grant money from the South Carolina Department of Transportation. Then they house was to be put up for sale with many restrictive covenants on it in hopes a new owner will be able to continue restoration of the house (4) (5). Number of acres  1,005 in 1839; 650 in 1860; 9 in 1982 (1, p. 3) (3). The house is still standing but not open on a regular basis. It was constructed as a raised cottage with a timber frame.